Just finished another makeover - this time a WordPress.org template - and my first corporate business one! 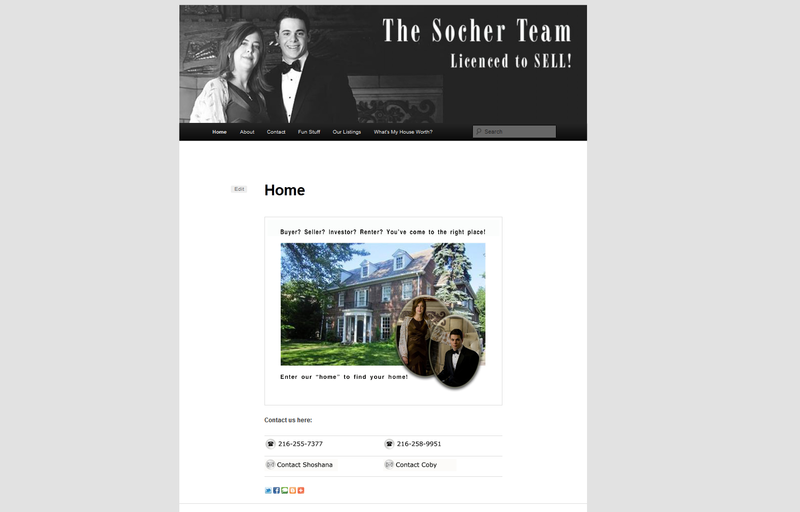 Shoshana and Coby Socher are The Socher Team - a mother&son team of estate agents. The screenshot above shows their landing page. 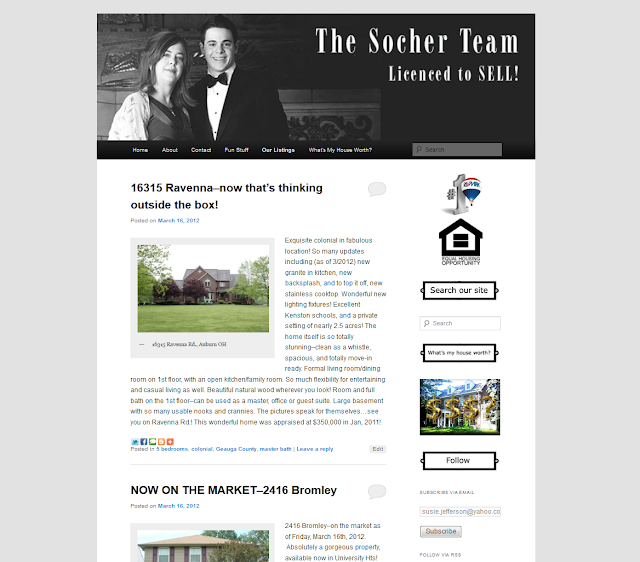 This page shows their blog proper, 'Our Listings'. I loved doing this, such a lot of fun. 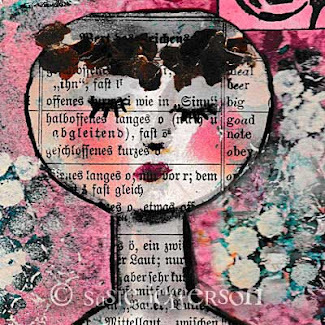 If you look at the Contact page and scroll down a little, you'll see their advert and tag line: Licenced to Sell. Loosely based on the 007 James Bond image - so I themed the blog to that. Shoshana also has a 'Fun Stuff' page with strange-but-true houses; there will be recipes, vintage stuff, DIY and decorating advice... I'll definitely be watching this space.